At Wells of Hope, child sponsorship is at the heart of what we do; not only do sponsors give hope for a better life to the children with imprisoned parents, but they also become family to the children. On 23rd January 2019, we were extremely delighted to have Prof Adele Jones from the University of Huddersfield visit us again since 2012. During her visit, she met the staff at Wells of Hope secretariat and she visited Wells of Hope Junior School and Wells of Hope High School. One of her major highlights was meeting Winnie, her sponsored child. She was amazed at how beautiful and confident Winnie had grown. Prof Adele was very happy to see how fast the organization had progressed. She donated scholastic materials like books, crayons, pencils, balls, among others. 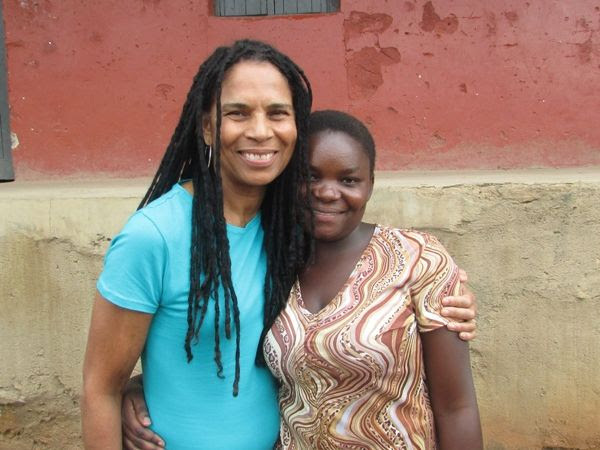 Prof Adele’s visit in 2012 was transformational; she’s an advocate for vulnerable children and children with incarcerated parents at Wells of Hope. We thank Prof Adele for her continued support and love for the children at Wells of Hope.